Now that AppHarbor supports git publishing (i.e. they create a git repository for an 'AppHarbor Application'), it is very easy and fast to deploy a new version of TeamMentor. using the Install/Upload Libraries tool. So far we talked about how to push an git repository into AppHarbor from your local disk, but that is not the only way you can do it. 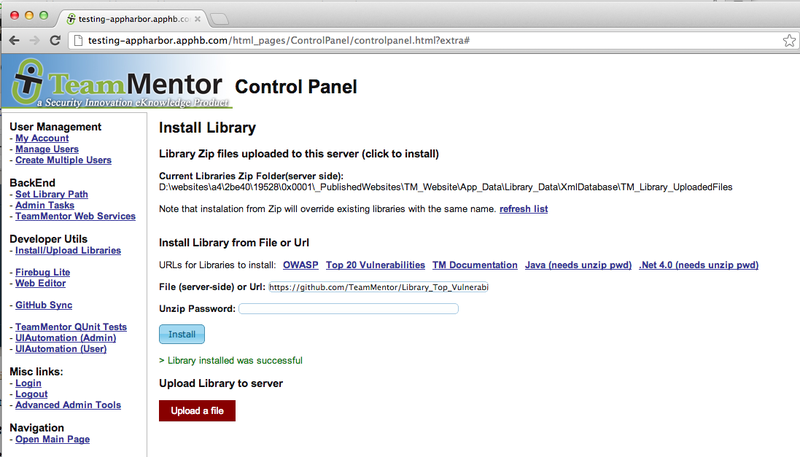 AppHarbor also supports GitHub Service Hooks which can be configured via the GitHub's repository admin panel. Great post! 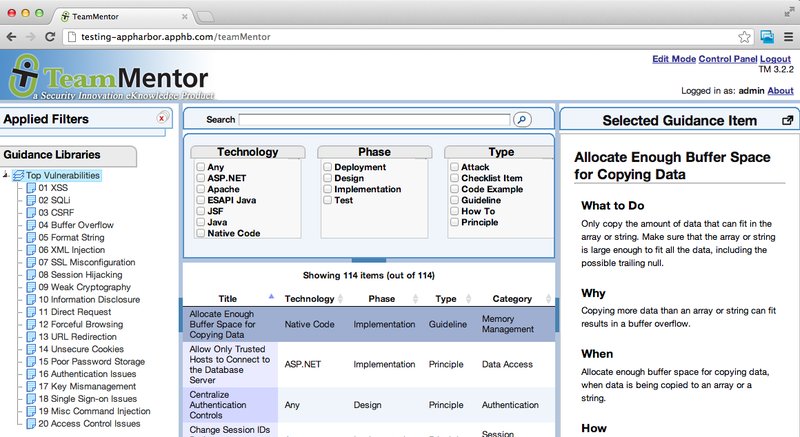 Consider adding TeamMentor support to AppHarbify for even easier deployments. That is interesting, so how does AppHarbify work? How can TeamMentor be added to the list of apps shown in http://appharbify.com/Apps ?